Playing the Octopus is more than just a metaphor for how hard it is to play the pipes: it’s also the title of Mary O’Malley’s most recent collection of poems. It seemed obvious, then, to pair Mary with legendary uilleann piper Tommy Keane for this performance. Together, they’ll take us on a lesson through life’s many tentacled surprises. There’s a well-known maxim that says all art aspires to the condition of music. If true, then poetry surely comes very close to meeting it. Indeed, Irish poets and musicians have always cast a particular spell on each other. 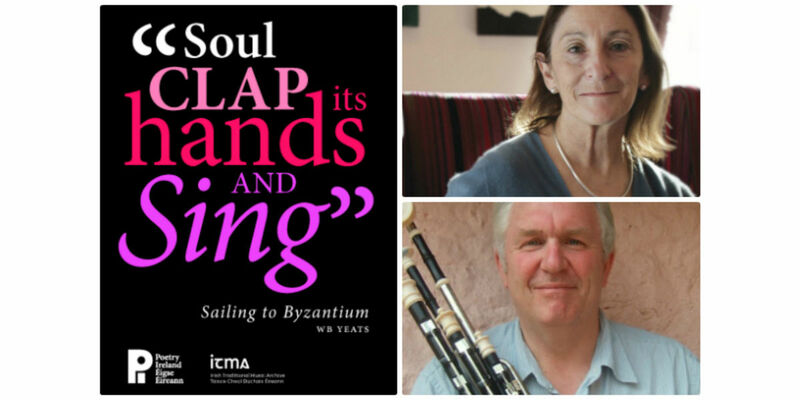 “Soul Clap its Hands and Sing”, a new series of music and poetry events presented by Poetry Ireland in partnership with the Irish Traditional Music Archive, will offer audiences a chance to enjoy some of the finest artists in both forms as they weave in and out of each other's work.